SEOUL, South Korea--(BUSINESS WIRE)--PyeongChang Forum 2018, the inaugural ceremony launched by Gangwon Province to discuss problems facing Earth and humankind was launched at InterContinental Seoul Parnas on February 8th. 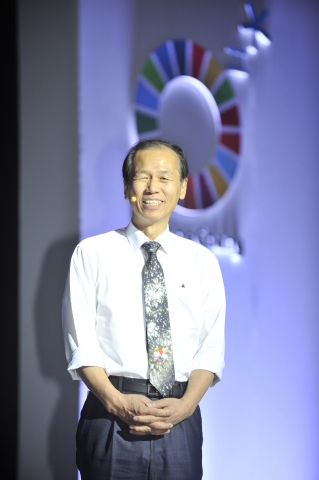 PyeongChang Forum 2018 was launched under the theme of “A New Solidarity of the Earth and Its Stewardship” with officials from the Korean Government, UN, NGO and experts from Earth Science, Carbon, Hydrogen and Olympics to promote its grand opening of the inaugural ceremony with three sessions and two seminars. On February 7th, the first day of PyeongChang Forum 2018 began with a lecture about “Future of Earth and Humans” as well as a science performance. Eric Smith (External Professor, Santa Fe Institute) held a lecture about four geospheres: rock, ocean, atmosphere, and life. After the lecture, the special science performance from Young Jo Song (Brain Scientist, KAIST) attracted huge attention from the audience. On the second day of the forum, the inauguration ceremony was held to announce the start of the PyeongChang Forum. After the inauguration ceremony, Sang Mook Lee (Chairman, PyeongChang Forum Organizing Committee, Professor, Seoul National University), Anders Sandberg (Senior Research Fellow, Future of Humanity Institute, Oxford University), Jae Chun Choe (University Chair Professor, Ewha Womans University) along with renowned scholars from around the globe attended to take a detailed look at the present and future conditions of the rapidly changing global environment and discussed human endeavors and future plans. Before the inauguration ceremony, on the topic “Global Citizenship to Achieve SDGs”, Eun Hee Jung (Founder and President, IVECA International Virtual Schooling), Shamshad Akhtar (Under-Secretary-General of the UN), Jeffrey Brez (Chief, UN-DPI NGO Relations) and experts from international organizations shared their knowledge and opinions on the future direction of humankind. PyeongChang Forum emphasized the meaning of the 2018 PyeongChang Winter Olympics legacy by addressing the issues of the 'Tokyo Olympics 2020’ and ‘Beijing Olympics 2022’. It is also significant that South Korea is the front-runner of the Olympic Games by North Asian countries from PyeongChang to Tokyo and Beijing. The PyeongChang Forum 2018, which announced its grand launch right before the PyeongChang Winter Olympics, will end with the final curtain at its Advisory Meeting on Feb 9th. Starting this year, it will continue to be held as an annual international event to strengthen the network with the UN, NGO, Congress and corporates. 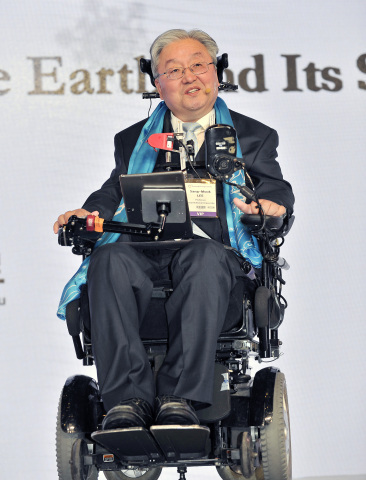 PyeongChang Forum 2018 was launched under the theme of "A New Solidarity of the Earth and Its Stewardship" with three sessions and two seminars.